Tami Leviton is an award winning Realtor with @properties. She specializes in helping buyers and sellers in Deerfield, Riverwoods, Bannockburn, Lincolnshire, Highland Park, Northbrook, Glencoe, Buffalo Grove, Winnetka and Wilmette. Tami's Real Estate expertise ranges from condo's to multi-million dollar homes. Tami's professionalism, attention to detail and pride in her work ensures each client receives the height of service. Tami's clients know that they are her top priority. Her extensive knowledge of the housing markets help her sellers get the highest price for their home and her buyers get the best value for their purchase. Tami prides herself on going above and beyond in every transaction and thereafter. Tami's patience, integrity and extraordinary negotiation skills have made her a top agent on the North Shore. Because of Tami's client's complete satisfaction she has built a business based on referrals. Her client's needs are always put first. She is there for them every step of the way, and beyond the transaction. Tami educates her clients on the real estate process and guides them through with her knowledge and resources. Tami has lived in Deerfield for the past 27 years and is your local expert willing to share her knowledge and expertise about the North Shore. "Tami was helpful in advising us about the current market and what it takes to sell a home. She puts on a full press with marketing on the internet, home mailers and open houses. Her goal was to sell our home quickly - which she accomplished!" "Tami was amazing to work with! She was extremely knowledgeable about the market and showed us realistic homes based on our desired price range. She helped us every step of the way. We can’t wait to refer all of our friends to her!" "Tami was utmost in Professionalism!!! She was honest, knowledgeable and a pleasure to work with. She made us feel as if we were her only clients. Tami responded to us immediately by text or email, however we reached out to her. Tami's knowledge reached pass the actual selling of our home, she helped us with all our moving needs...movers, resale shops, etc. From listing to close, she was always there with her expertise and a smile! She is a wonderful person and a fabulous Real Estate Agent!" "Tami was very professional and easy to work with. We went through several trials and hoops to get my unit sold. She was very patient and skilled and would have gone above and beyond to get the place sold. I would highly recommend her services." 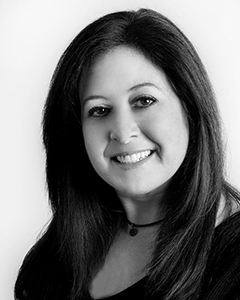 "SUMMARY - I recently used Tami Leviton to sell a home in Deerfield IL 60015. The house sold very quickly (Multiple offers in 5 days). I am positive that without Tami's advice on preparing the home, her knowledge of the marketing process and her assistance during the sale/negotiation process it would have taken much longer. I would have absolutely no hesitation in recommending Tami or using her again. Please see below for more details. DETAILS SELECTION OF AGENT - In preparation for selling our home I researched each of the top 4 real estate companies in my area. At each company I searched the broker/realtors to determine who had the best experience selling in my market. I based this on how many home they had sold in my general neighborhood (not just the town), the success rate of those sales and how long the homes were on the market before selling. Based on this information I invited one representative from each company to come and make a personal pitch couple with a market analysis. In general, the data presented during the market analysis was similar. Tami's pricing suggestion was not the highest nor was it the lowest. We selected Tami because she clearly was the most knowledgeable about the various forms of digital marketing via social media. Although the other agents indicated their offices could provide the service, Tami was able to discuss in detail the process, where she would be marketing and her overall approach. Since our target market was individuals with young children looking to move into a larger home in a good school district we knew that the use of social media/digital marketing would be key. It was clear that this was a hands-on process for her as opposed to the other agents who would pass the marketing off to someone else. Additionally, Tami is very knowledgeable about the neighborhood. In reviewing the competitive market analysis of other sold/for sale homes in the neighborhood, it was clear that she had visited many of the homes on the market and could talk to each one as to why it was selling slowly or fast. I was really surprised with two of the other agents who it was clear weren't visiting the competition. I had been paying attention to the market for the last year and was comfortable that Tami's impression of the houses came from seeing the house in person and not just on line. PRE-SALE - During the pre-sale process Tami was helpful in reviewing the recommendations made by the stagers and identifying those that were impractical or not worth the money for ROI. She came by after some painting work to review. When the photographer, videographer and floor plan people were getting ready for the listing, Tami was there directing them as to which aspects of the house she wanted them to focus on. Tami strongly recommended getting the house on the market earlier, rather than waiting for the start of the traditional spring market. I resisted this for a while but eventually agreed to give it a try. And she was right. House went on the market on a Wednesday in January, we had more than 10 showings in the first 3 days (15-degree weather). The house was under contract well before the traditional start of the spring market. Tami also did extra things that she either suggested or we requested. For instance, we were going to be travelling during the winter months and the house would be empty. Tami came in every day there was a showing, turned on all the lights and opened the window coverings, the first impression was of a warm inviting home. She then came back at the end of the day and turned everything off. If we had wanted her to she also would have accompanied each showing. During the showing process we received continual feedback from most of the visitors as to their impressions. This almost instantaneous feedback allowed us to be more informed as to how the house was presenting when the offers came in. The offer counter offer stage was relatively painless, and we came to agreement relatively quickly. Tami was helpful in helping us understand how the offer fit into the general market of other offers made. Post offer acceptance the other realtor suggested a change to the terms of the offer. TAMI understood my reasons for rejecting that proposal and presented the reasons for rejection to the realtor/attorneys involved in a way that did not jeopardize the sale. POST OFFER- Tami attended all the inspections and radon screenings to get feedback and answer questions. She also offered to wait for the one repairman to fix something on the inspection report. CLOSING - We were still traveling so had provided power of attorney to the attorney. Tami did the pre-closing walk through with the buyers and attended the closing to represent our interests in the event of a last-minute problem. I would have absolutely no hesitation in recommending Tami or using her again."